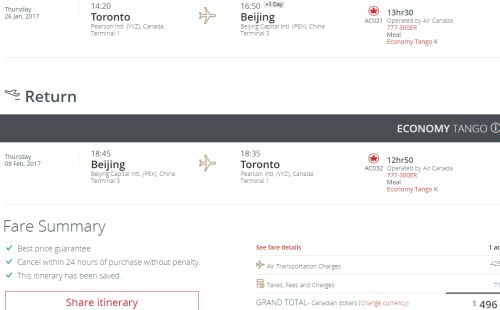 Air Canada has dropped the price of their non-stop flights from Toronto to Beijing, China down to $496 CAD roundtrip including taxes. Pretty incredible price for a 13 and a half hour flight! To put it in perspective, this is cheaper than the cheapest flights from Toronto to Calgary over the same time-frame. 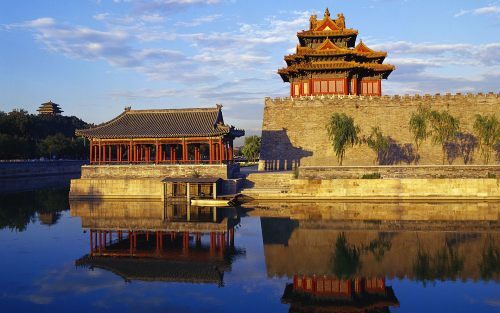 This is even 25% cheaper than the cheapest non-stop flights from Vancouver to Beijing. 2. Click on the departure date box to open up the calendar view and browse for other dates. Look for the date combinations that are $497 roundtrip. toronto, yyz, flight deals, asia, east asia, beijing, china and pek. 4 Responses to "Toronto to Beijing, China - $496 CAD roundtrip including taxes | non-stop flights"
Great deal! You rock Chris! Dates in 2017 are all sold out. There are still dates in November/December 2016 that are working.